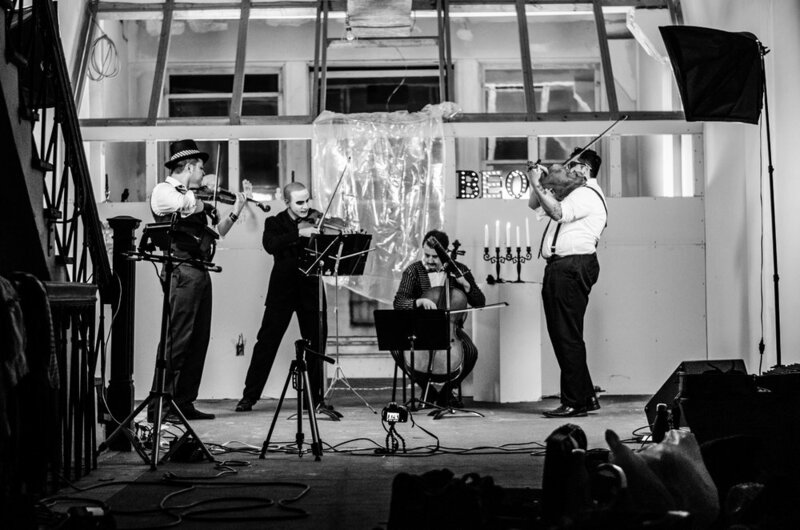 This ambitious project features Beo performing three quartet parts at the same time. 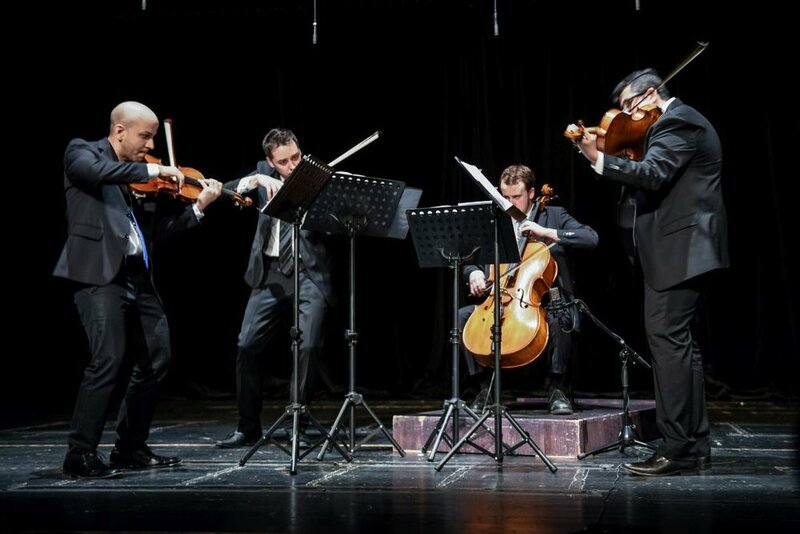 When performed live, Beo plays one of the quartet parts while the other two pre-recorded parts are displayed on either side of the live ensemble using projectors. The result is a chamber music experience unlike any other. The second and third tracks from a five-song Beo album called ‘Ghost Revisited’. Unlike any other project you’re likely to hear, violist Sean Neukom wrote complex, intricate and compelling string quartet parts to interweave between grooves set by electric guitar, bass, drums and vocals in what is essentially a rock song. And at the same time, it isn’t a rock song at all. It’s Ghost Revisited. Recorded autumn of 2018, full release to come soon. These are four of seven tracks from a rock album written by Sean Neukom and performed by Beo, called ‘Dead Reckoning’. These are early versions of the tracks, so keep an eye out for their official release at some point in the near future. "Dead Reckoning is the album that jump-started my fascination with composing pop/rock songs as opposed to writing them. The difference being the approach in how the song is crafted. Each song in Dead Reckoning is written using the same method with which I approach concert works: through motivic development. The guitar or vocals typically introduce a melody or motive, and the strings continue to develop this throughout the song. The subject material of this album is very personal to me. It is essentially a chronicling of the loss of a love. The album opens at the point where a couple realizes that the end might be near. The album then is a journey through typical emotions one experiences: anger, questioning, guilt, spite, and nostalgia. The end finds the protagonist realizing that it's ok to love someone and not be with them. The journey from dark to optimism is palpable and achieved through the use of engaging string parts played by the members of Beo." String Quartet No.5, "Time Cycles"
These are two “previews” of a project Beo is currently working on. A full release is planned for later in 2019.